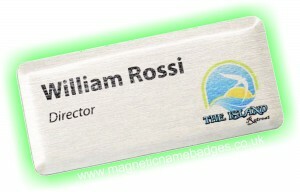 Need Name Badges for an event? 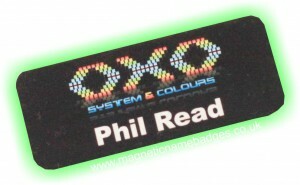 Are you looking for name badges for a corporate event, conference or exhibition? 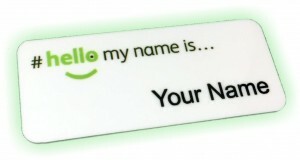 Do you need quality personalised name badges producing quickly? 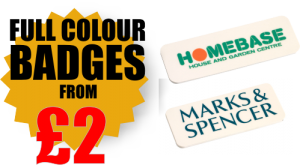 If you answered yes to any of the above, or if you simply want fantastic name badges producing, no problem, that’s exactly what we do here at Magnetic Name Badges. Every year we produce countless name badges for all kinds of corporate events and conferences, and for all manner of industries. In this time we’ve noticed a few things that tend to be consistent when it comes to name badges for events. There is a requirement to cater for a few last minute additions. Timescales are normally pretty tight. The name badges must be delivered before the event. If you think the last one is pretty obvious, (and we agree it is) you would be amazed at the amount of customers we get, simply because their previous name badge supplier failed on this obvious requirement. We perfectly understand the requirements and we know there are a million and one other things to organise, and not just the event name badges. We offer two ranges of name badges that perfectly cater for all these requirements; these are our plastic name badges and our metal name badges. 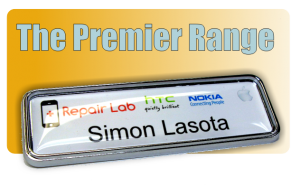 As with our entire name badge range, our metal and plastic range of badges can be produced in stunning full colour, and can be highly personalised and feature any logo or text including individual names, job titles or descriptions. 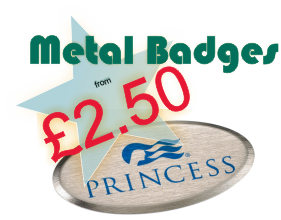 Our range of metal and plastic badges can also be produced within even the most demanding timescales, ideal for any last minute additions. Whichever range you choose, our metal and plastic name badges, add a professional, yet highly functional touch to any corporate event, and without blowing the event budget. 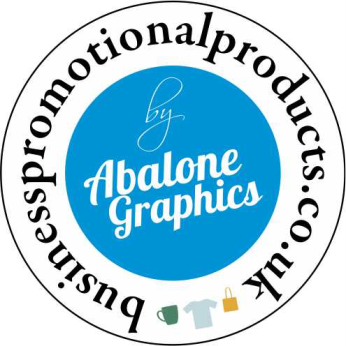 Let us take the hassle out of your corporate event name badges and contact us today.